It’s a constant struggle for any business leader. As your company continues to embrace tech-driven advancements, the demands on your enterprise IT are intensifying—and it’s nothing less than frustrating. You need more data storage and network capabilities than ever before, while simultaneously trying to trim the budget. That leaves your IT team to either cut their overall costs, or to do more with the existing budget. Obviously, neither of these is an ideal solution given the ever-increasing needs of your company. Still, you’re faced with the age-old challenge: do everything faster, better, and cheaper. Unfortunately, most of today’s legacy data center architectures actively work against these goals, because with increasing complexity comes increased costs — and things have definitely become more complex. What causes high IT costs? Data centers are littered with separate infrastructure components that are cobbled together to form a complete solution. This hardware sprawl results in a data center that is increasingly complex, decreasingly flexible, and expensive to maintain. It’s a simple fact: as your business grows, you need to add increased IT performance and capabilities. With traditional infrastructures, scaling is a challenge. Whether it’s purchasing more equipment or more storage space, the system only gets more complex—and costlier. 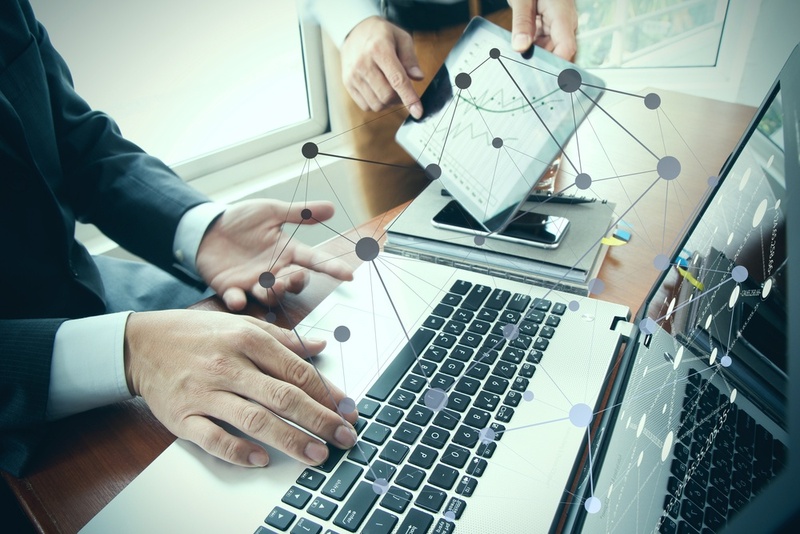 Businesses today are looking for ways to make the IT function easier to manage overall so that technical personnel can focus time and resources on projects that will have high business impact. Ultimately, businesses want to squeeze as much return as possible out of their technology investments while spending as little as reasonably possible on those investments. That’s where hyperconverged infrastructure can provide visible ROI while reducing future IT costs. Hyperconverged infrastructure (HCI) is a new way to reduce costs and better align enterprise IT with business needs. At its most basic, HCI virtualizes the three major components of IT infrastructure: compute, storage, and servers/network. In other words, HCI wraps servers and storage devices that comprise the data center into comprehensive and easy-to-use management tools. Hyperconverged solutions are a much more modular, scalable approach than traditional IT infrastructure. Instead of scaling out—adding nodes on an as-needed basis—HCI allows for scaling up and scaling wide. Scaling up is the ability to upgrade nodes by adding CPU, RAM, networking, storage or all of the above. Scaling wide is the ability to scale a solution across multiple sites, including remote offices. HCI also adds the benefit of cost predictability, which makes it easier to plan IT spend for the future. Traditional IT infrastructure refresh cycles are expensive. IT components don’t all last the same amount of time – so your servers might need to be refreshed one year, then the next year your storage could use an upgrade, and then your network switches need to be updated. With HCI, there is less equipment to overhaul and therefore less money spent on tech refreshes. HCI offers a single-vendor solution that helps cut costs by integrating the traditional IT infrastructure stack into one platform. With a hyperconverged infrastructure, companies can employ a smaller, more agile, and more efficient IT staff. HCI allows most complex operations to be handled behind the scenes, which means that IT generalists just need to apply infrastructure resources to meet individual application needs. HCI infrastructures are run primarily using virtual machines (VMs), and the policies that run the VMs are managed by software, allowing a smaller team of IT administrators to worry less about day-to-day management and focus more on strategic issues that have deep organizational impact. Once HCI is set up, common tasks can be monitored with automation. 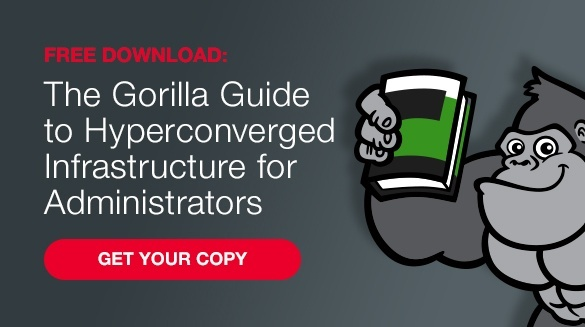 In fact, automation is a key aspect of effectively managing a hyperconverged infrastructure. Scheduling and scripting capabilities are streamlined with HCI; IT personnel don’t need to spend time and resources trying to create automated structures with hardware from different manufacturers or product lines. HCI provides a single-vendor approach to procurement, operations, and support. With this model, HCI is typically less expensive than a more traditional integrated system. Additionally, when the HCI vendor rolls out new features and updates, customers can take advantage of those updates right away, without having to replace hardware. Kevin Davis is currently the Vice President of Service and Support for SymQuest, and is based in the South Burlington, VT and West Lebanon, NH office locations. Davis is responsible for the network and client support teams at SymQuest. Davis started with SymQuest in April of 2007 as an Incident Response Engineer. His love for customer service and technology quickly led him through various engineering positions where his passion for process improvement and motivating team members advanced him to management positions with increasing responsibilities leading to his present role as Vice President of Service and Support. Kevin holds many industry IT certifications and was a member of True Profits Group.